Front rooms are an important part of any house because they are the first thing you see when you walk through the door. However, that also makes them an easy target for clutter, as many people come-and-go, dropping things off as they please. But you can rescue your front room from it’s inevitable despair. 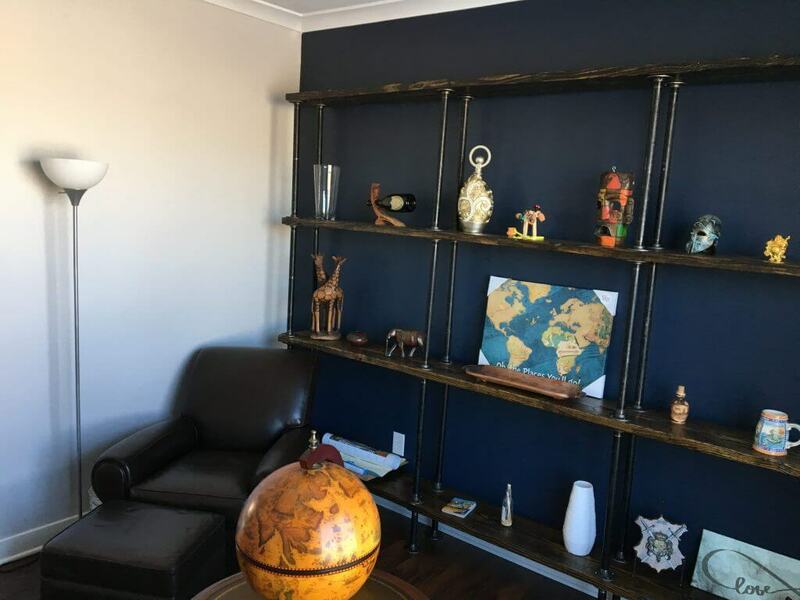 Just check out Reddit user Lukeyboy767, who shared his shelf-building project that completely changed his front room. 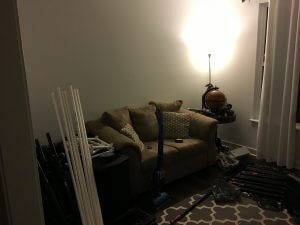 Lukeyboy takes us through the steps of transforming his front room from drab to fab. He starts off by explaining his DJ equipment, piano, and travel items have taken over the space. We can relate- it’s amazing how our busy everyday lives can cause us to clutter our rooms without even meaning to! Lukeyboy goes on to explain his love of traveling with his wife, and their hope that eventually, their front room will be a quiet spot to show off souvenirs and plan future trips. 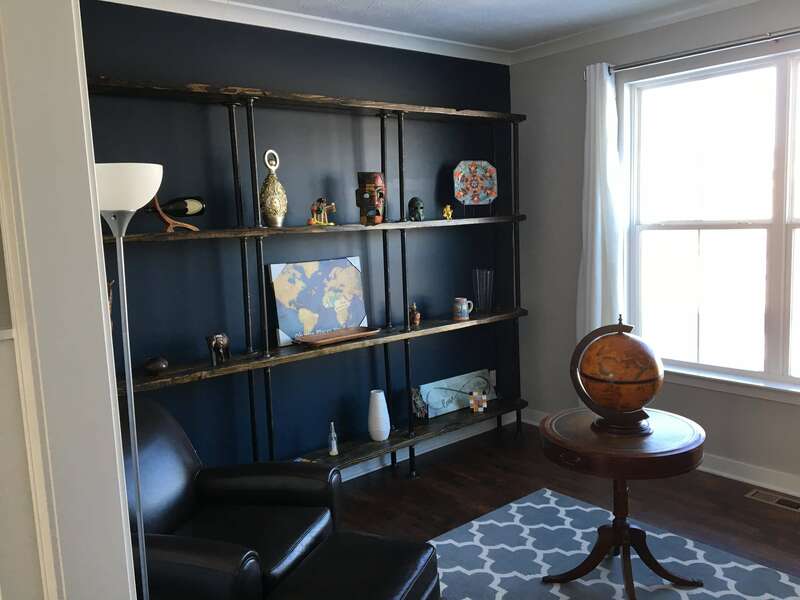 To accomplish this, Lukeyboy decided to build a shelf to serve as the room’s focal point. You can do this too and give your home a much-needed modern touch. 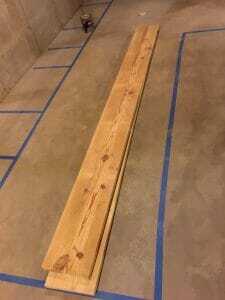 First, you need to gather supplies, including 4 2×10’ Southern Yellow Pine boards. 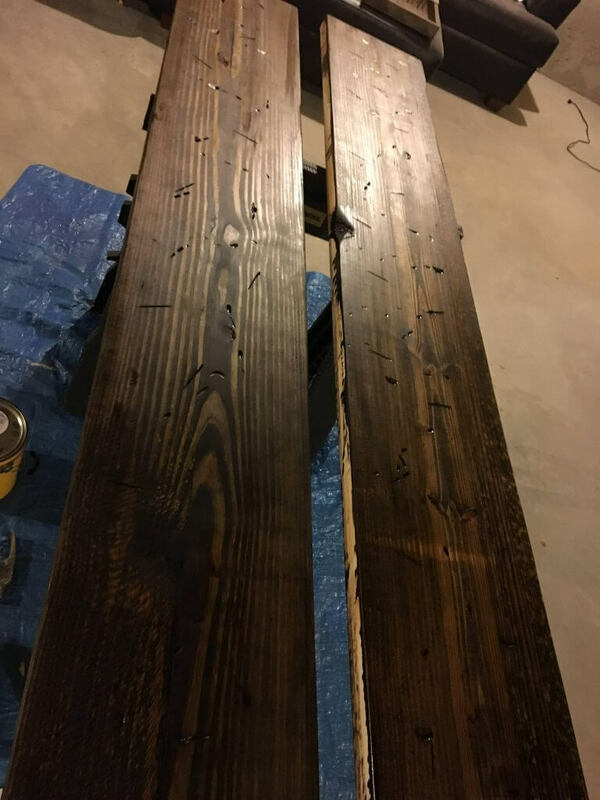 You can give them a more weathered look with a hammer or a hatchet, followed by a proper sanding. While there are a huge variety of stains out there, you can choose the color that fits your design scheme the best. 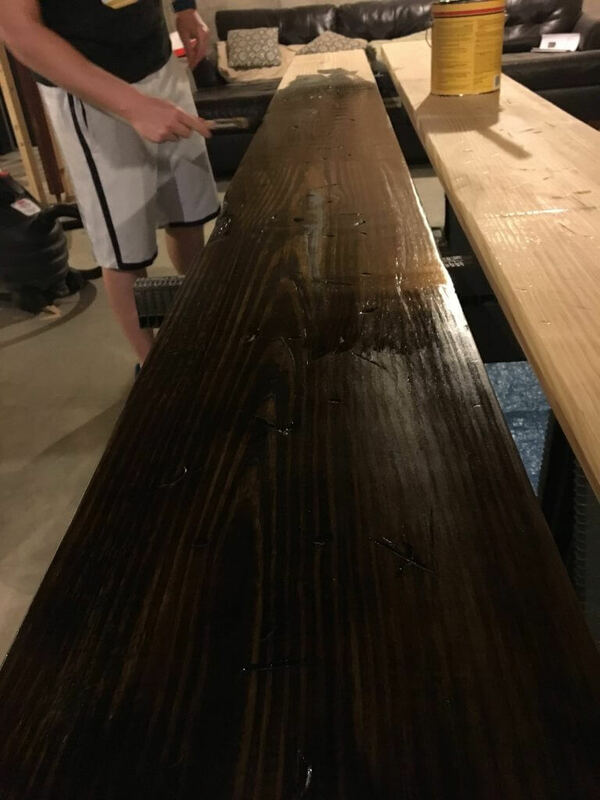 Or you can follow the steps of Lukeyboy, who chose a Minwax Dark Walnut stain. After applying, let the stain sit for a few minutes before wiping it. Do this another time around if you want a darker look. 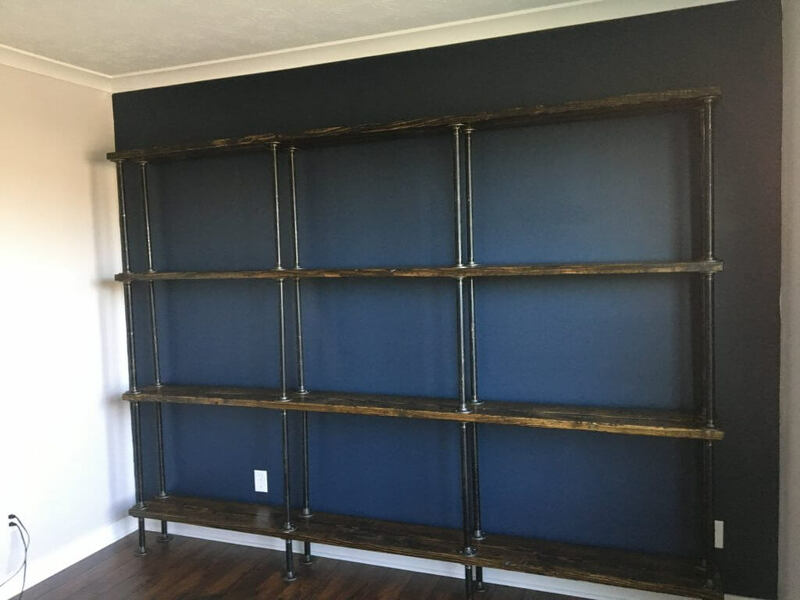 Your finished stain should give your shelves a polished look. They’ll be ready for your front room in no time! 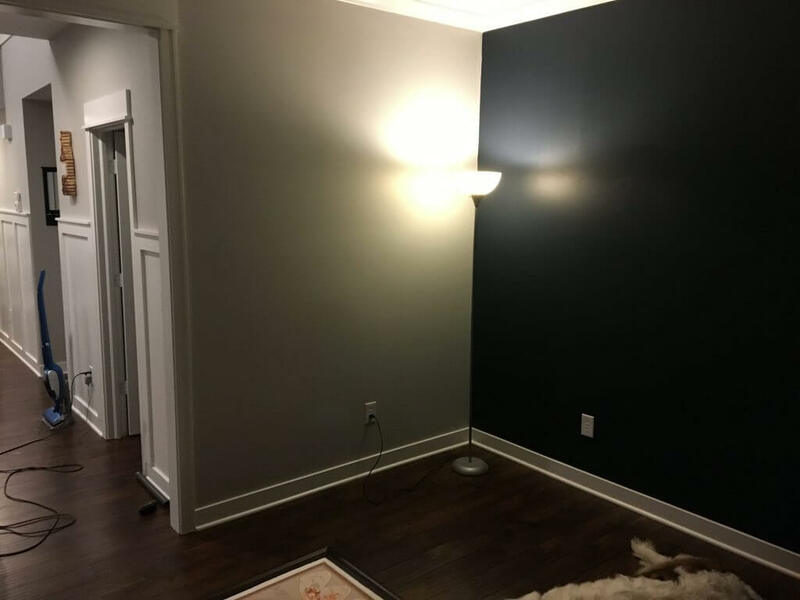 Before you even think about putting your shelves on the wall, you need to choose your paint colors. Pick colors you enjoy, and make sure they complement any other accents you’re hoping to include in your front room. 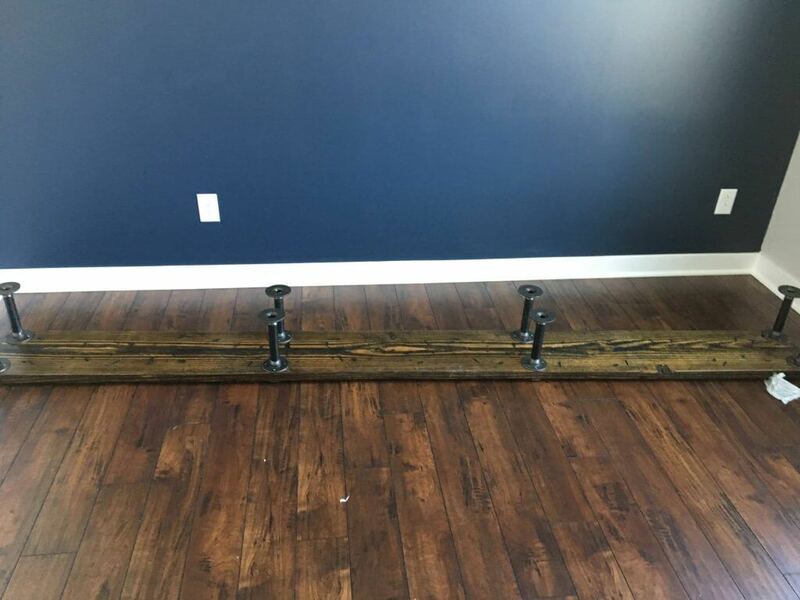 As Lukeyboy shows us, hanging your new shelves doesn’t have to be difficult. He used 1” black pipe and flanges to put it together. First, he pre-drilled the bottom pieces and tried to keep them level. Buying the pipe in 1” sections made this step easier. Next, it’s time for the larger pipe sections. Lukeyboy took 10” pipes and cut and threaded them down to 2”. Then it’s time to attach the sections together to make the shelving complete. The shelving is finished. Everything is level. It’s as simple as that! 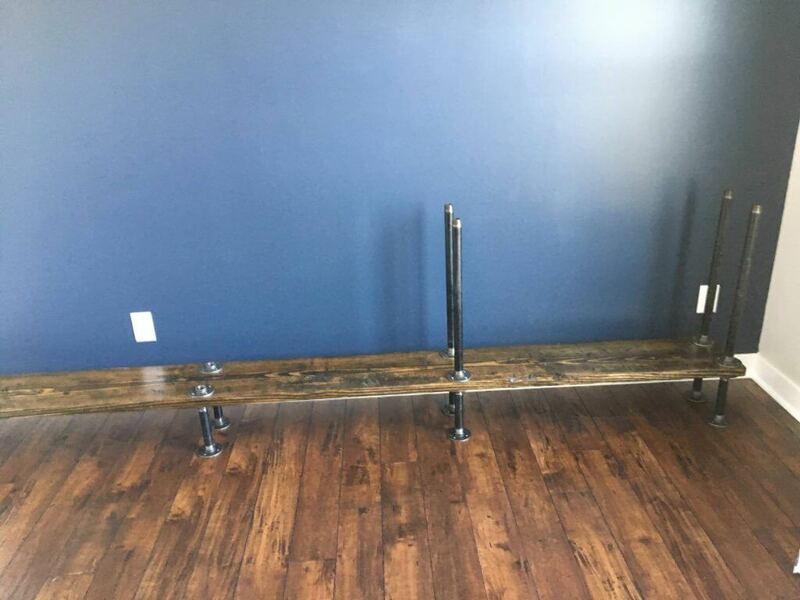 Now you’ll have significant shelving space to take your front room to the next level. Check out Lukeyboy’s new front room, proudly displaying tokens of his travels. You can add other decorations and pieces to tie the entire look together.